I recently lost the rationalrevolution.net domain due to some billing and renewal problems. While trying to get that straightended out a traffic monetizer bought the domain for $2,250. They were willing to sell the domain back to me for the same amount, so I bought it back, but now need to raise money to offset that cost. So I am here to raise $2,250 to pay for the cost of buying back the rationalrevolution.net domain. As you may know if you are familiar with the site, I started the website back in 2002 in response to the deceptive messaging leading up to the invasion of Iraq. Since that time I have published numerous independently researched original articles on the topics of history, economics, politics and religion. I have had made many interesting contacts with visitors to the site, and have had numerous requests to cite my writings in various papers and publications. Thousands of links to articles on rationalrevolution.net have been created throughout the internet, and I know from the statistics, that articles from the site have been referenced by hundreds of different domains. 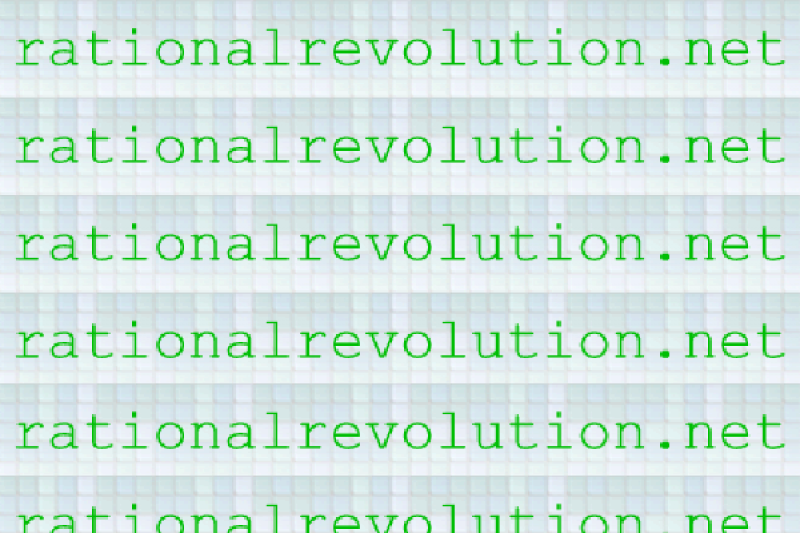 Ironically, that success is what made rationalrevolution.net a "valuable" domain. Over the years I have been approached on multiple occasions to sell the domain for thousands of dollars or to allow advertizing on the site in order to monetize the traffic. I have always declined such offers and sought to keep rationalrevoltuion.net free of advertizing. Unfortunately I was forced into a situation of having to pay a significant amount to retain the domain, so I am asking for your help to offset the cost of getting rationalrevolution.net back. Though I have always sought to keep the site free of ads, I may place ads on the site to re-coup the cost if I am unable raise enough through donations. Please keep doing the great work. I value the detail and that they always cause me to think and ponder. Your voice (writing) is needed. I have used some of your writings and appreciate the work you do very much. Wish I could give more.